It started already mid in the 60's with a very special and very elegant car which reached a hearty commendation on the Torino Exhibition in 1965. The Volvo importer in Italy, Motauto, appointed Fissore to make a special car. 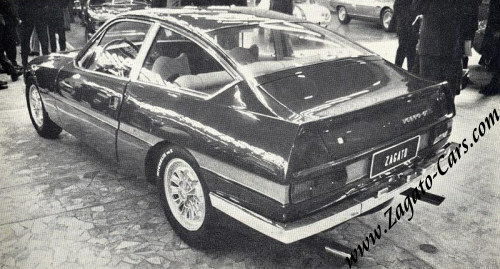 It was identical to the cars we know but the roof line was gradually sloping in the manner of the "fast-back" version we know; for example like Ford Mustang Mach 1 and the Shelby Cobra. The rear side window was changed to an almost four square shaped, and beyond the window were small ventilator scoops. The luggage room could be reached from both inside and outside and the color was BRG. It was for for display in Fissore's area together with other truly sports cars from the Fissore production. Out of that there come nothing and the coupe was just an attractive thing and Volvo made no further activities. The Italians made their second attempt about five years later. In time, before the Torino Exhibition in 1970, Motauto again put his special interest on the P1800 and Motauto appointed Zagato for the task. At that time the P1800 was quite an old car and the possibilities, or the chances, to have a successor this time in 1970 were naturally higher than in 1965. Also, the demand of a new car grew higher and many thought the coupe already was too oldfashioned. Zagato designed a special body based on a 2-litres Volvo. The lacquer on the exhibition car was Penta's own: blue and orange and Motauto started to negotiate with Volvo in Gothenburg and they believed that they should be more successful now than five years before. But no, Volvo couldn't, they found the car to be far too expensive and too exclusive.. another matter of fact providing this decision was probably that Volvo couldn't afford to quit the production of the coupe. Only in the last production years the coupe started to contribute with some profit. Volvo were anyway that stingry so Motauto sold the car in front of the very eyes of Volvo, to others for only 3000 dollars when there were no chance to negotiate further. Motauto found for the second time that all had been done for nothing. In the last negotiations Volvo told Motauto that a special body can't be combined with a 2-litre engine. Notauto clinged to this opening and started to evaluate the possibilities, as they thought Volvo had an interest after all. 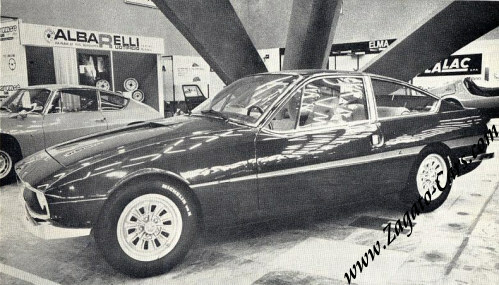 Motauto made a concept based upon Volvo 164-series (with 6 cylinder powerplant) and in four months Motauto had the necessary concept available, to be used when negotiating with Volvo. Motauto also bought a chassie and a powerplant from Volvo. 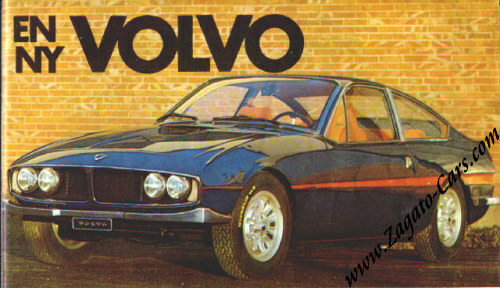 Zagato had the chassie and the engine from Motauto and continued, with a groundrule to use the earlier ideas, but now taking into consideration Volvo's demand to have another powerplant to make it possible to easily distribute the costs. 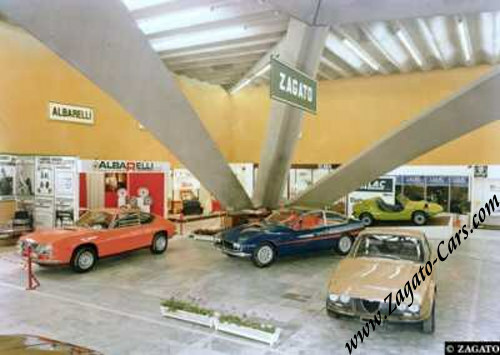 The goal for Zagato was to make a car that the market had a need for, a four seater with good road performance, deasant room for luggage, good sight and an emphasis on safety too. Volvo 3 GTZ is an quite different car compared to the 164-series, it is larger, 13 centimeters shorter, 7 centimeters wider, 10 centimeters lower, 135 kilograms lightened and this together with tests in air tunnel and more aerodynamic shape than the 164-series, did contribute to an increased top speed, from 172 kilometers/hour to 200 kilometers. The intention was that a tuned powerplant could have been ordered as optional. This powerplant used should be the Volvo Penta tuned engine on 190 h.p. SAE and by this, a top speed of 200 kiloneters per hour, could be achieved. On the chassie and the frame work in steel plate Zagato build the entire coach in light metal, but with a rigid driving bar built into the body. As mentioned the characteristic shape of the body was designed with use of air tunnel tests and by making the radiator 3 centimeters shorter and lower they achieved the imposant and characteristic low nose profile. The interior was calculated for four, but there is hardly enough with room for the feet for the back passengers. On the other side this was compensated in such way that also the rear seats were easy to change in all directions. A neck support was mounted on each seat. A deviating wall to the luggage room isn't excisting and the luggage room isn't large. Just a place where the golf clubs could be stored as being a certain Volvo demand! Why make difficulties out of that with a luggage compartment lid when there excists a large rear window? This is a milestone question and probably an initial question when the ES wagon later on was developed.